Q. What are your payment terms and minimum orders? Q. I am buying from another supplier, but need better service, would you match or beat the price I am paying? A. We always feel we provide the best service and competitive prices. We would be more than happy to personalize a competitive quote for you, just email us your request. Q. When will my UPS Next Day order be shipped? A. We ship from East and West Coasts. Orders placed on our site usually ship within 48 hours, Monday through Friday excluding holidays throughout the year, regardless of the shipment method chosen. Choosing Expedited Service (UPS Next Day, UPS Second Day or UPS 3rd Day Select) may reduce the amount of time your order spends in transit, but please allow 48 hours for shipment to occur Monday through Friday excluding holidays throughout the year. Q. What is the minimum for getting bottles labeled or silk screened? Q. Can I establish credit terms? A. Yes, established D&B rated firms purchasing over $5,000 from SKS, in any given year may apply for terms by supplying 3 references and bank information. The credit review process takes 2 to 3 weeks depending on how quickly your references respond. A request doesn't guarantee approval. Q. Why was my credit card order declined? Note that when a credit card order is rejected on the SKS website, it is possible that funds for the order may be held by the cardholders bank for up to two business days after the decline occurs. Please contact your bank directly for additional details on declined orders. Q. I'm a large user can I get additional discounts? Q. How will my order be shipped ? A. All shipments are made F.O.B. our Distribution centers, either Nevada or New York. Orders are shipped via UPS or Common Carrier for large orders. Allow 1 to 3 days from shipment for delivery depending on how far you live from our Distribution Center. Check UPS.com for transit time to your location. Shipping and handling charges are added to your order. Once your online order is shipped, you will be emailed your tracking information. Click here to track your shipment with UPS or view our Time in Transit Map . Q. My shipment weighed only 15 lbs but I was billed for 90 lb shipment? A. Your shipment was oversized per UPS standards and all oversized boxes are shipped at a minimum of 90 lbs regardless of actual weight. Oversized boxes are needed to pack some of our larger plastic items and most of our bulk items. We are always looking for ways to reduce the box size required to avoid use of oversized boxes. Q. How can I talk to a live person? A. Call 1-518-880-6980 Ext. 1, 8 am - 5 pm EST or use the live chat available from our homepage. Q. What are the new features at SKS-Science.com ? A. Check out our Members Advantage features. click here . Q. Do items get back ordered, and how will I know if an item I purchase is put on back order? A. Back orders are infrequent, but if a requested item is placed on back order, we try to contact our customers as soon as possible via e-mail. We cannot necessarily guarantee any ship dates at that time, but we will try to give you an accurate estimated arrival date. Note that if you order several items and only one item is on backorder, a partial shipment will often be sent as a courtesy if you are located in the US or Canada. The backordered item will be forwarded to you automatically when it is received into stock. Orders paid using a Paypal account are paid in full at the time an order is placed. You will not see any additional transactions for Paypal orders once the backordered item ships out to you. Q. Will my bottles be sterile when I receive them? A. 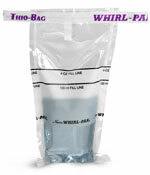 Most bottles are clean and come packed in plastic bags, but are not sterile. Any item that is sterile, will be indicated in the item description. For more information about cleaning and sterilizing your bottles click here . Q. Can I get a certificate of compliance (C of C) for the items I purchase? A. SKS is a distributor of packaging materials. As such, certificates of compliance may not be available for all of our stock items. Charges may apply for C of C's in some cases. If you require a certificate of compliance, please contact our Customer Service Department at 518-880-6980 Ext. 1 to confirm if the documentation is available prior to placing your order. Q. When will my credit card or Paypal account be charged for the items I purchase from SKS? A. Your credit card will be charged at the time items on your order are shipped. Note that some items on your order may be charged in separate credit card transactions. You may see a pending charge on your account for your order total when your order is placed. This pending charge is an authorization hold to ensure the funds for your order are available. If a partial shipment is made against your order, only the funds for the shipped items will be collected. Any additional charges for backordered items will be charged when the item becomes available for shipment. Orders paid using a Paypal account are paid in full at the time the order is placed. This includes payment for any backordered items. You will not see additional transactions for backordered items if paying through a Paypal account.